Acetone existed for most of the ’90s, making a spare, lonesome style of twangy psych-rock that sounded like the California desert at dusk. The band put out a few great records on Virgin records imprint Vernon Yard, and toured with Mazzy Star, Oasis, The Verve and Spiritualized, but never really gained more than a cult following. Sadly, Acetone came to an end when bassist and singer Richie Lee committed suicide in 2001. Most of the band’s catalog is out of print but Light in the Attic recently put out a new double-LP compilation that cherry picks songs from their whole career, plus nine unreleased songs. It’s highly recommended and you can listen below. 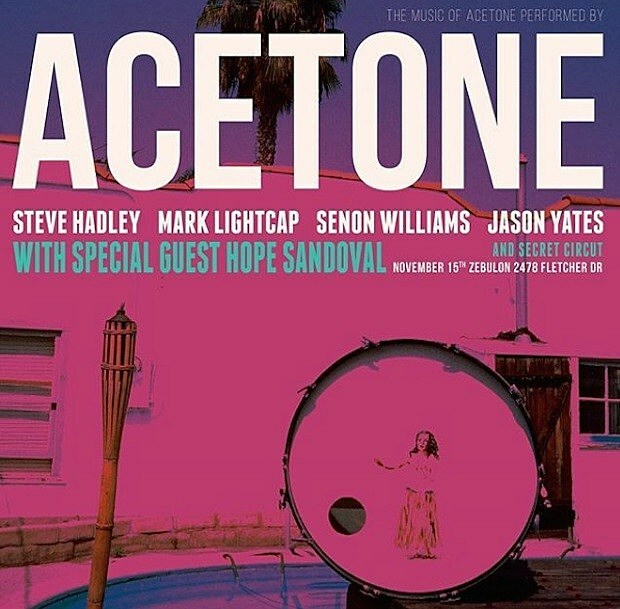 To celebrate the compilation’s release, the surviving members of Acetone regrouped for the first time in over 15 years, drafting in old friend Hope Sandoval (who has covered Acetone’s “Louise”), to play the LA outpost of Zebulon on Wednesday night (11/15). While a setlist hasn’t emerged, as Sterogum notes, there is a little video of her playing “Louise” with Acetone at the show online and you can check that out below. Anybody go? 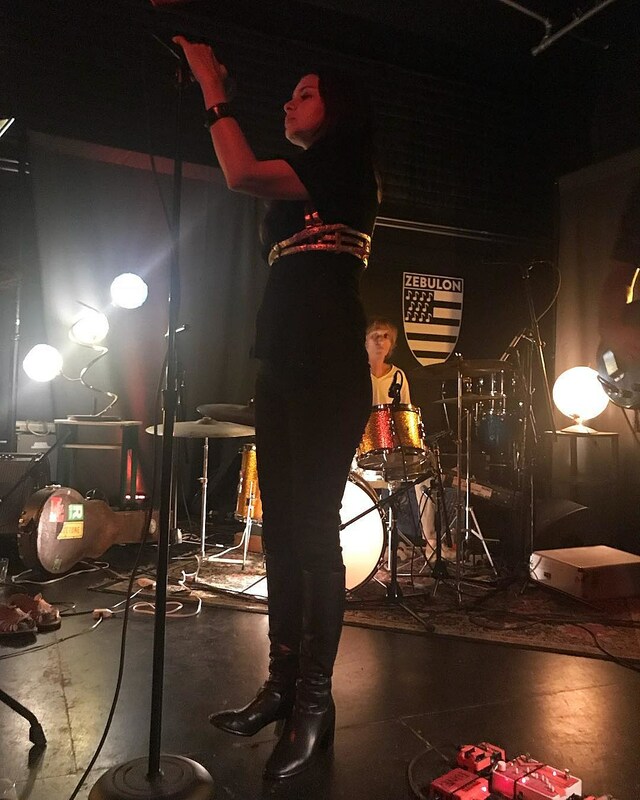 Hope just wrapped a North American tour with her band The Warm Inventions.